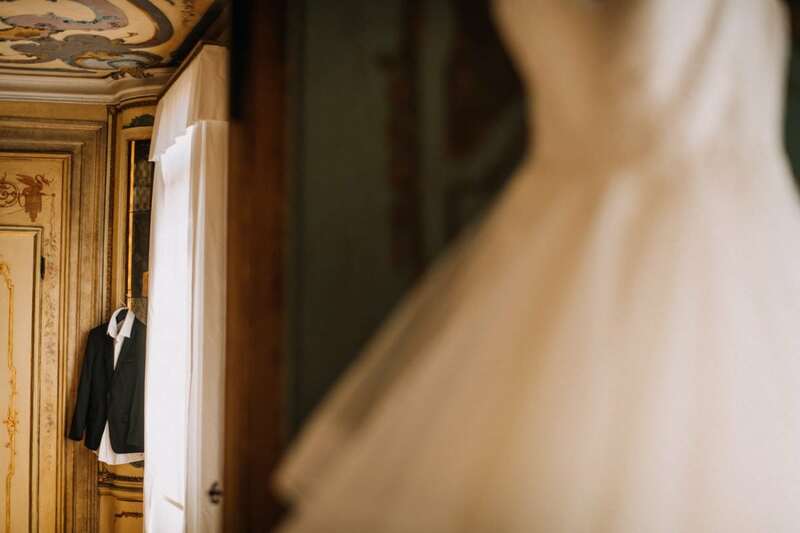 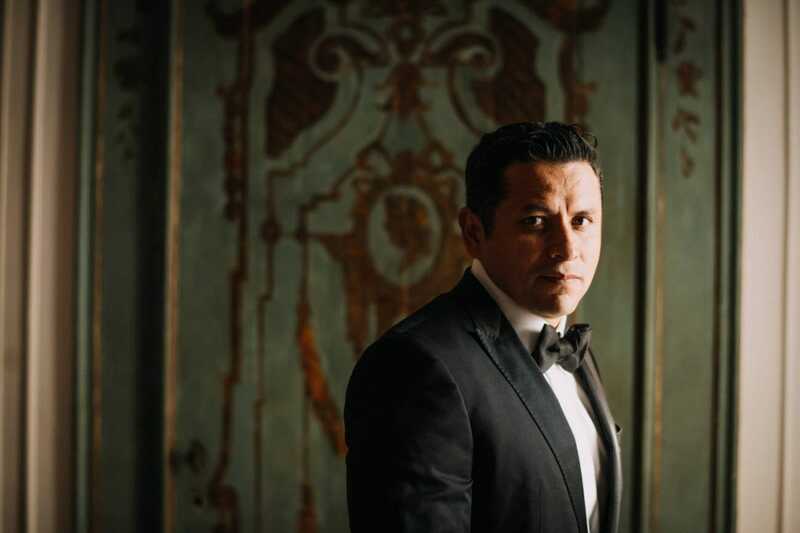 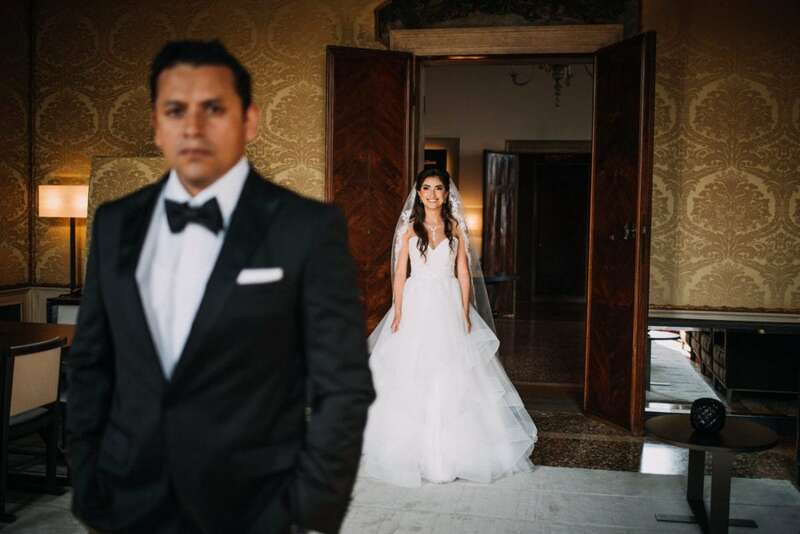 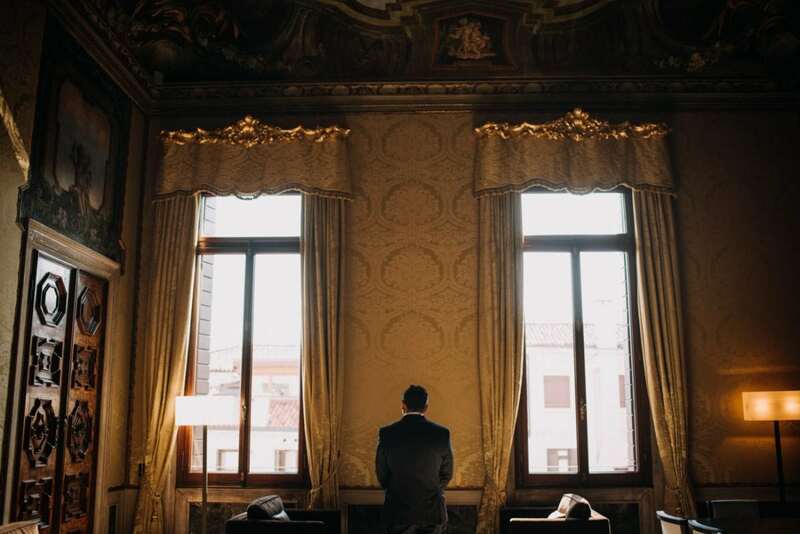 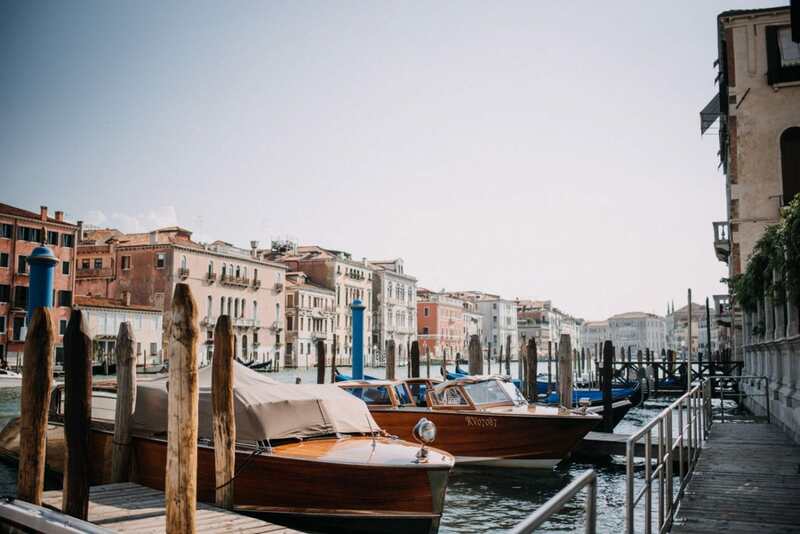 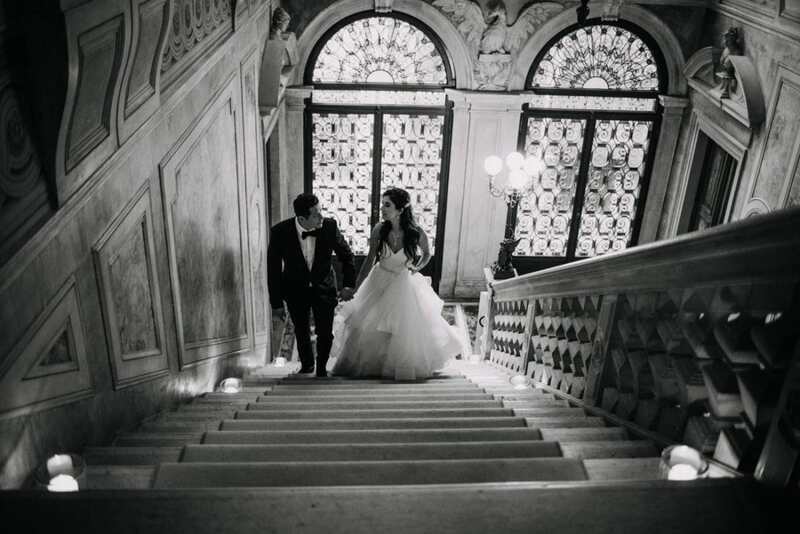 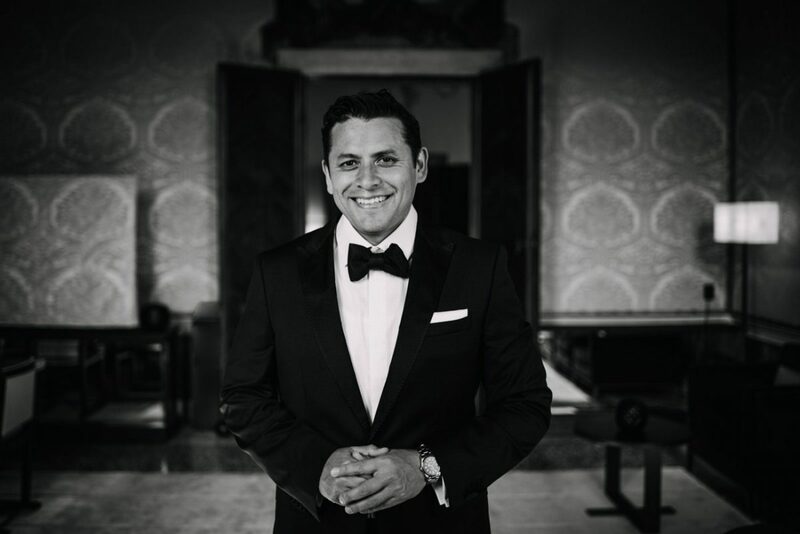 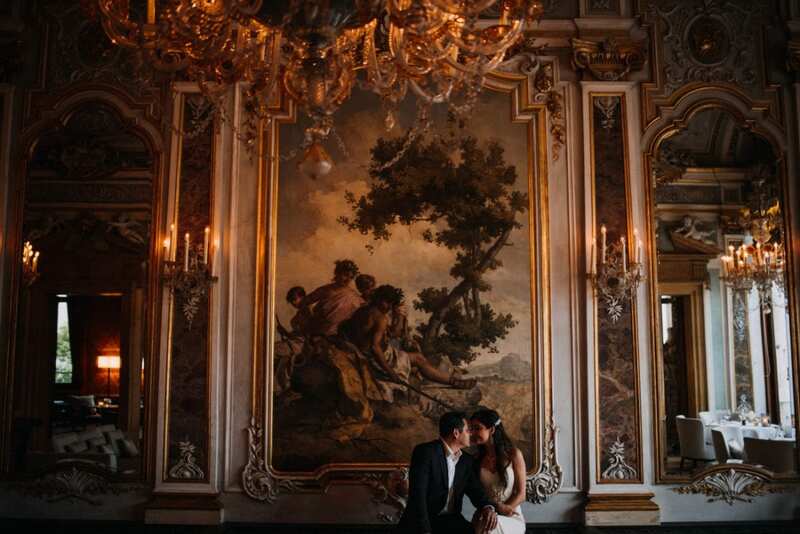 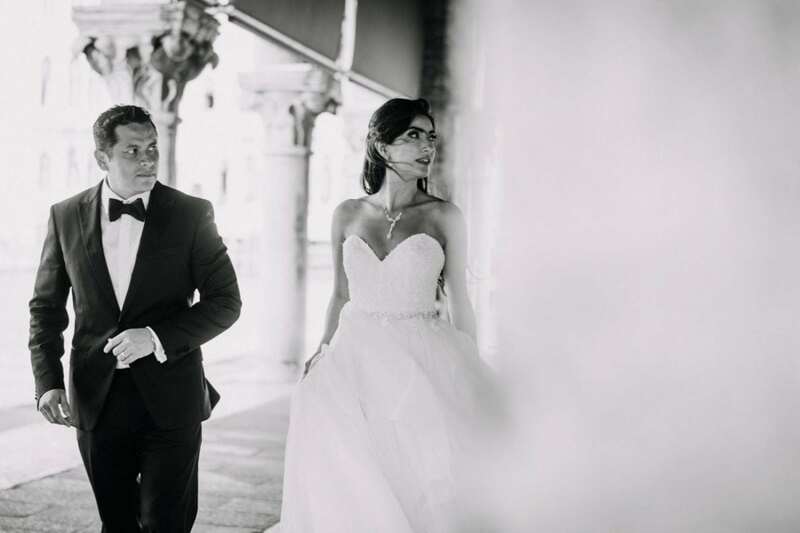 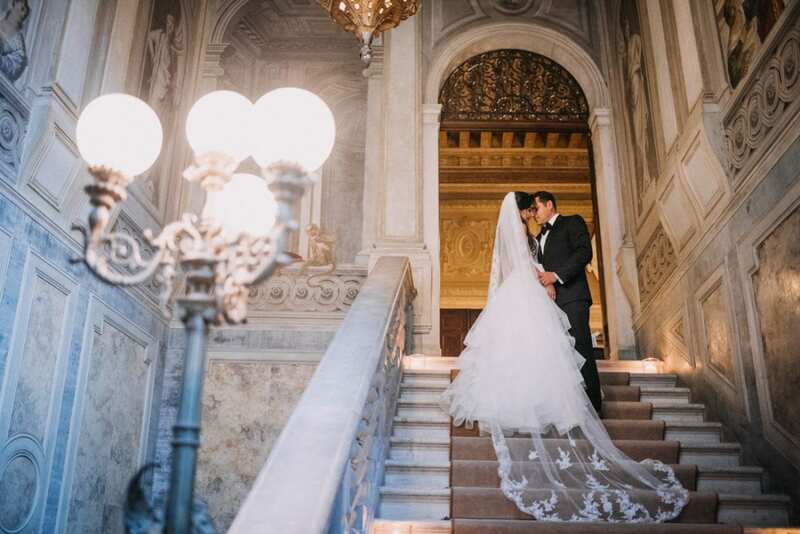 Venice, the city of Love, and these two: I totally loved this elopement wedding at the Aman Palace! 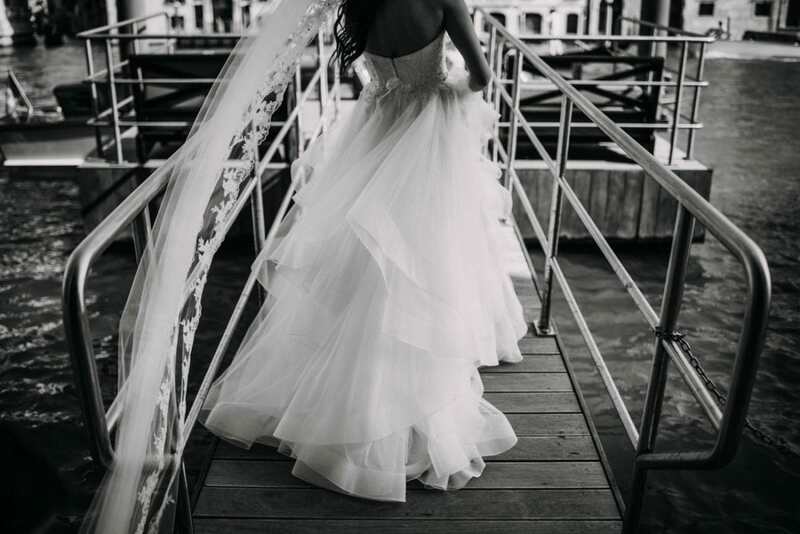 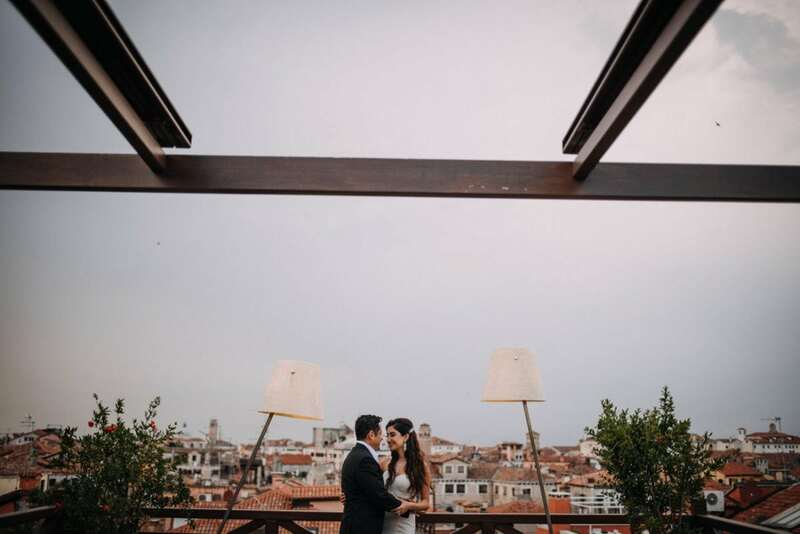 The beauty of the city in a warm late spring afternoon, and all the romance of an Elopement – to make a gorgeous wedding you don’t need many people, and the intimacy of a no-guests wedding is just unique. 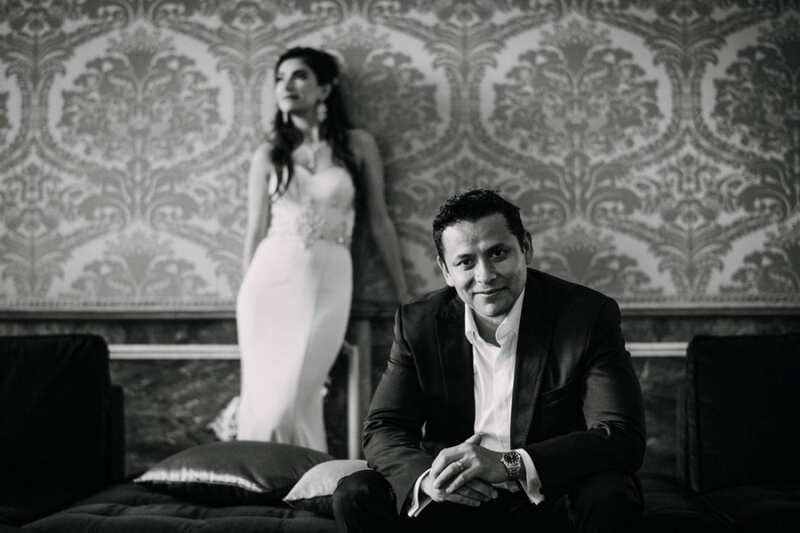 Nilo and Luis come from San Diego, California. 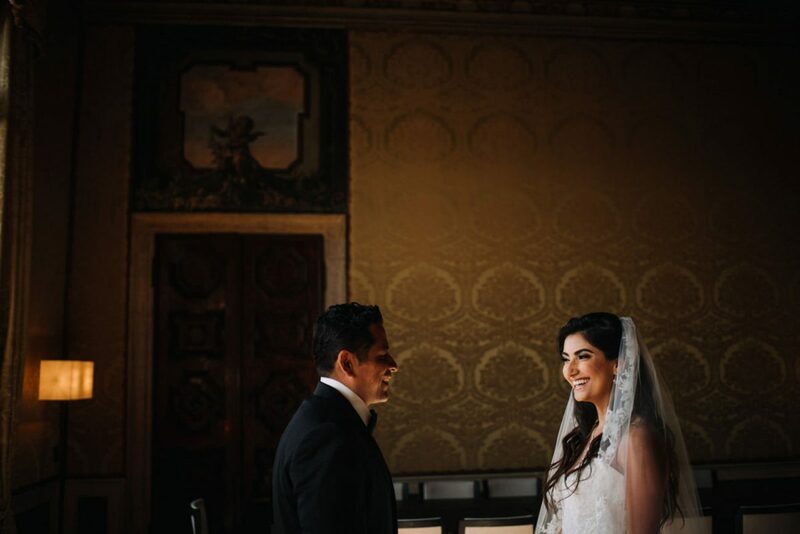 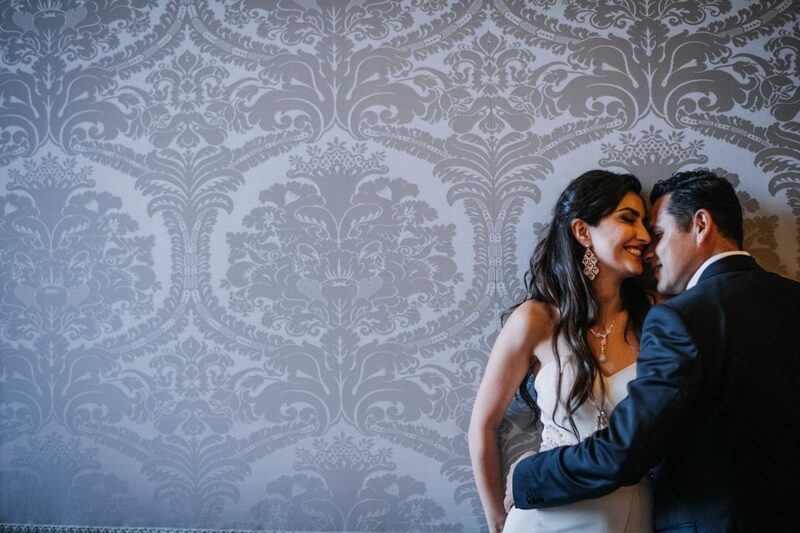 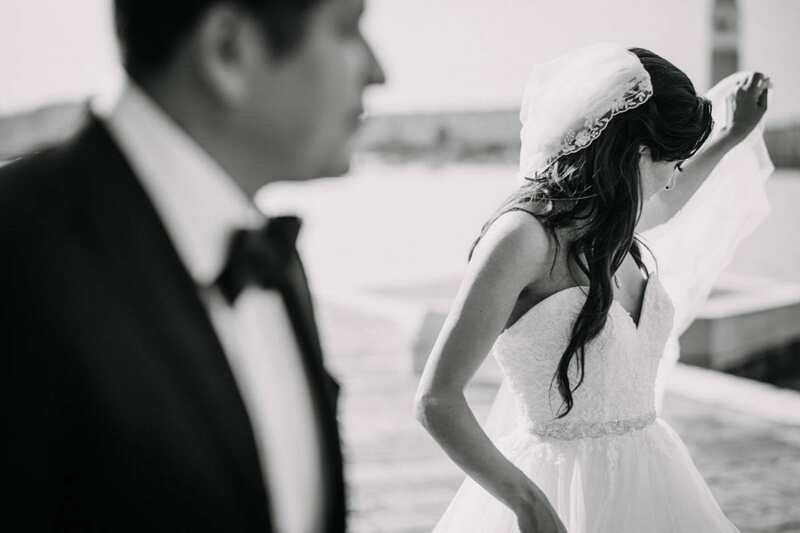 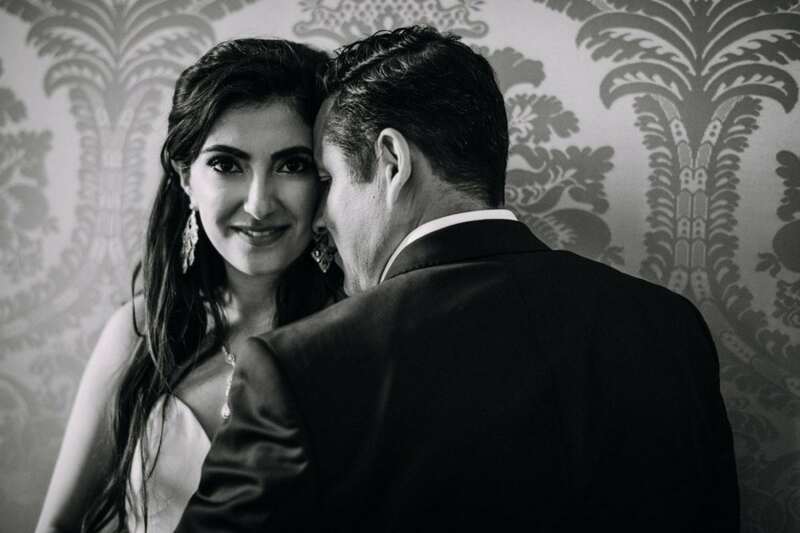 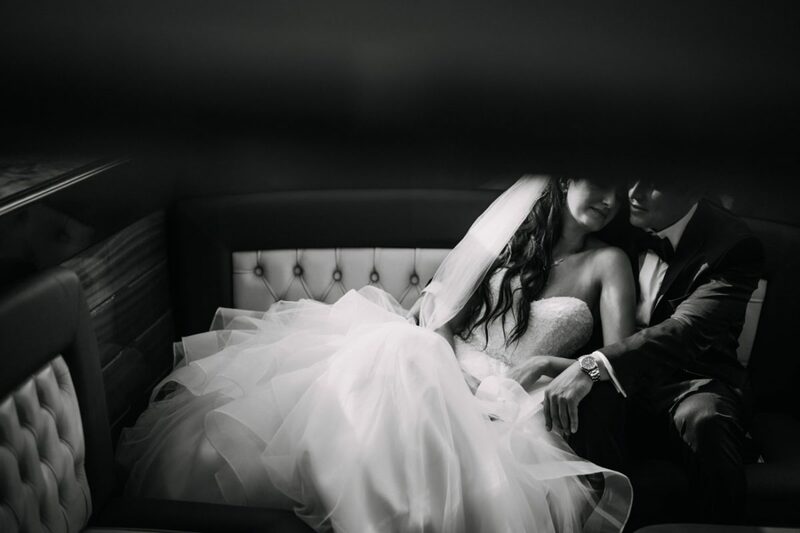 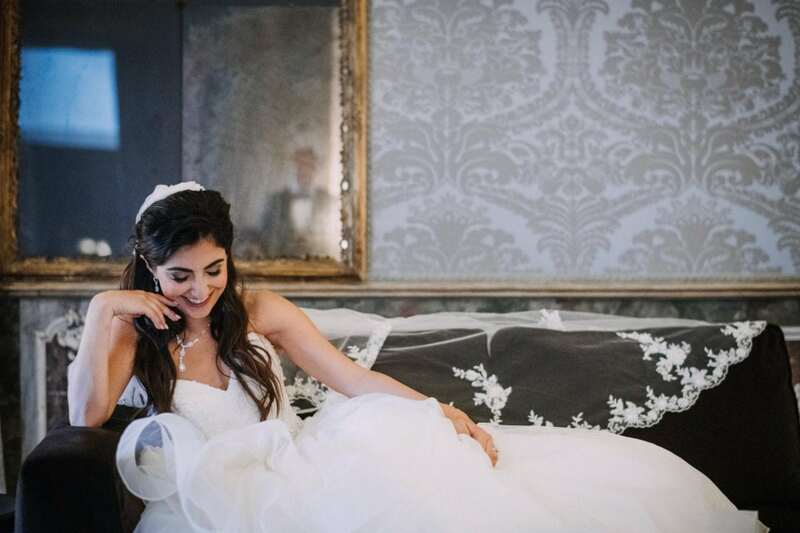 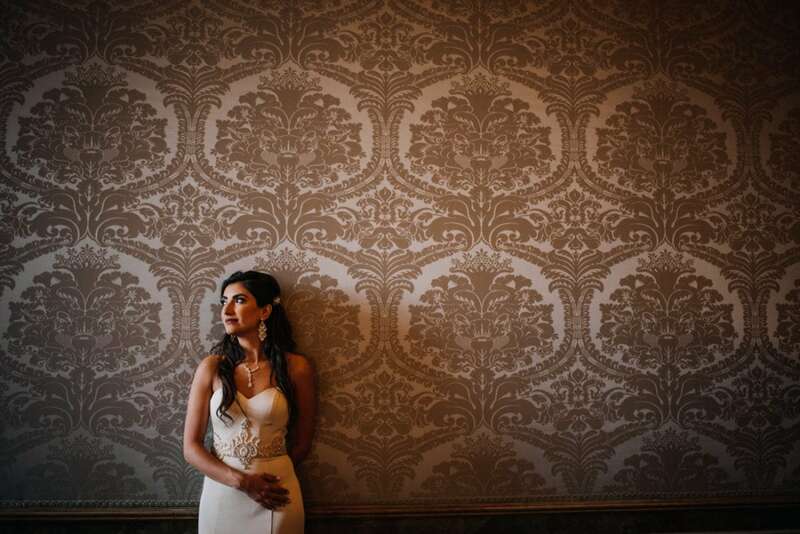 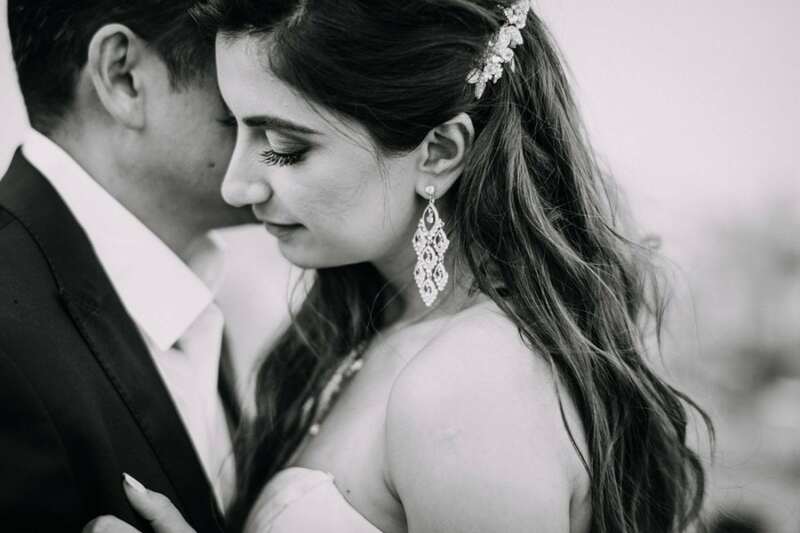 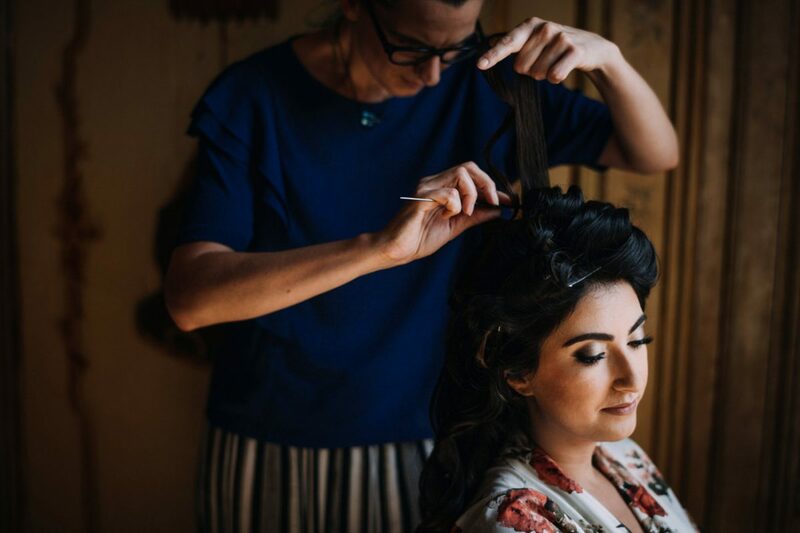 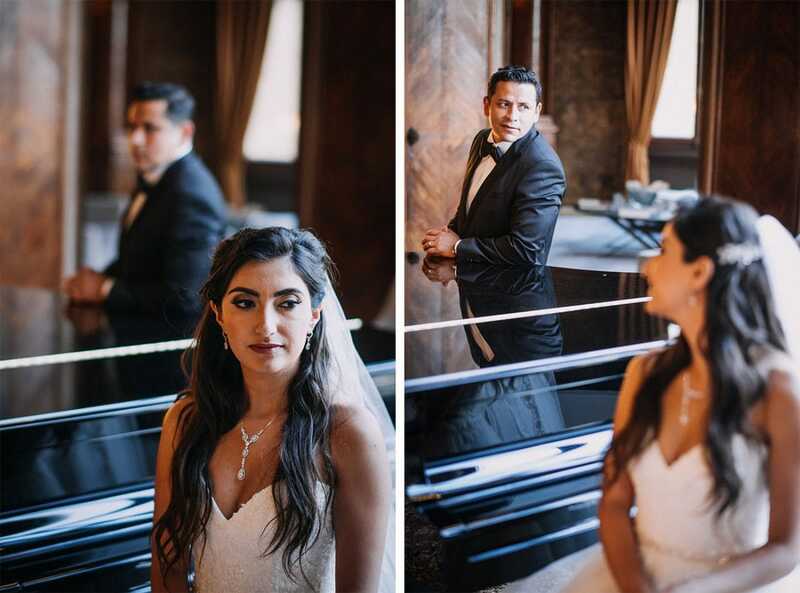 Her family comes from Iran, while he’s Mexican – a beautiful international couple, so in love! 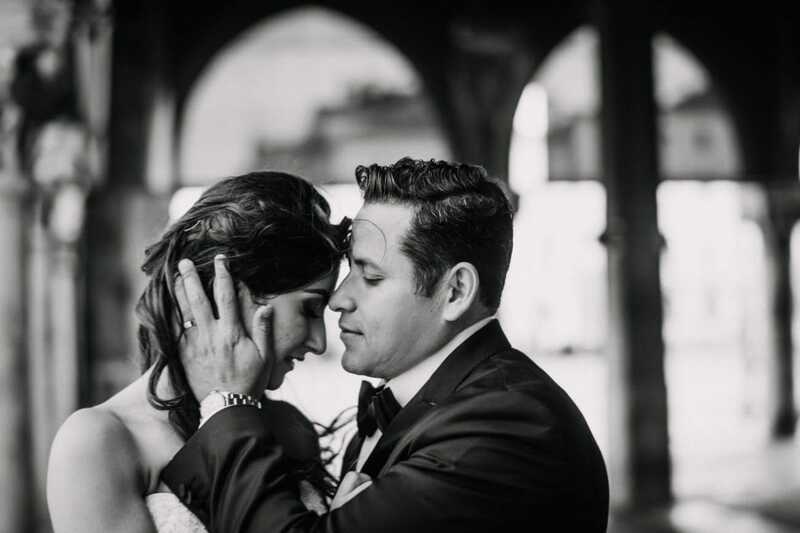 Nilo and Luis got married about ten years ago, but they never had a proper wedding nor a wedding photoshoot. 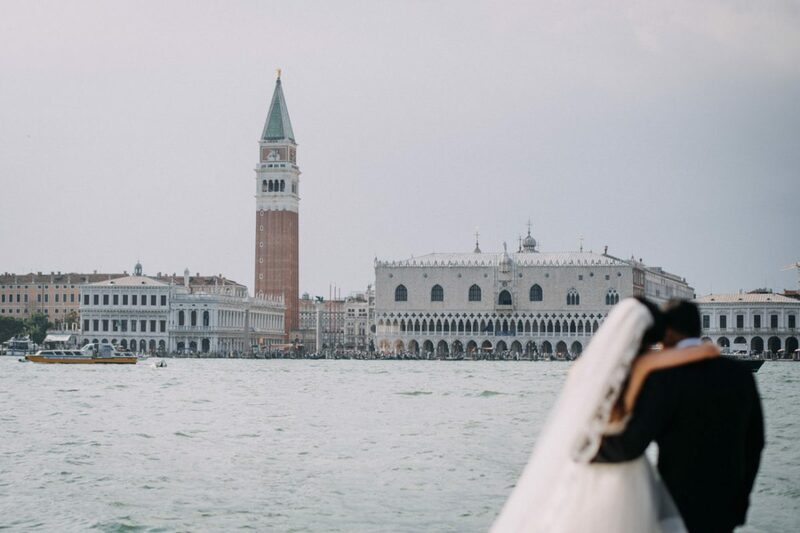 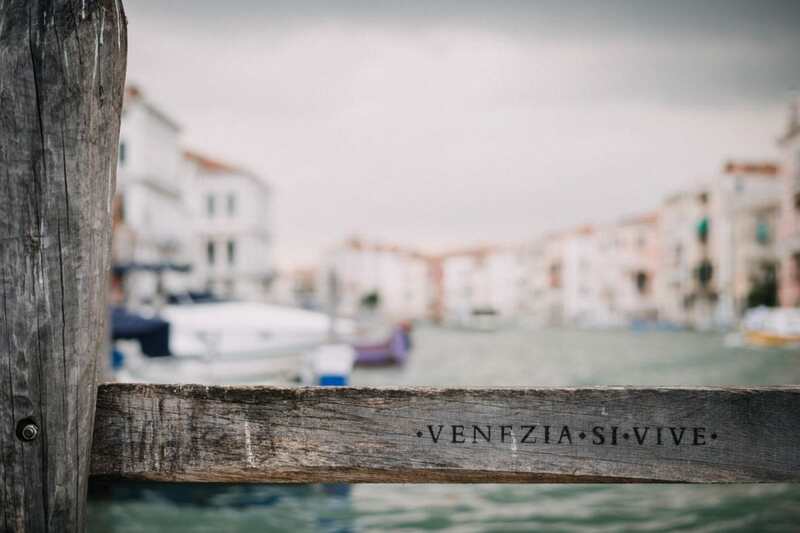 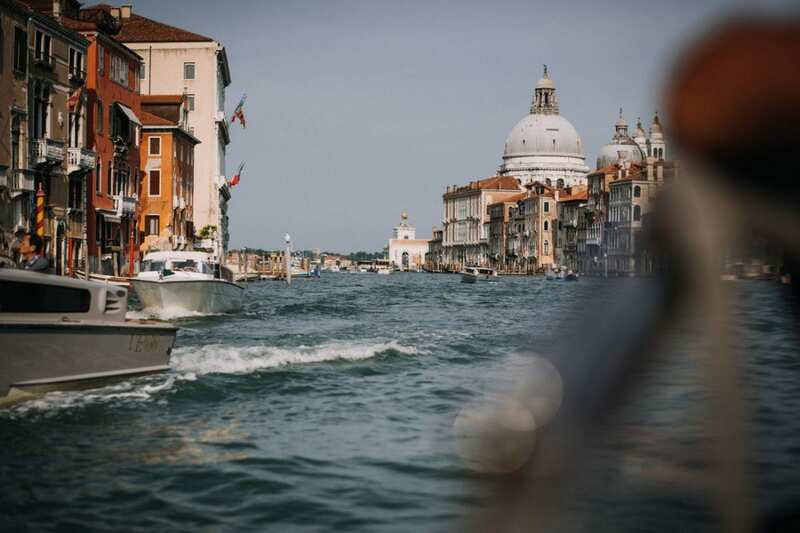 Therefore, they decided to come and celebrate their love and commitment to each other in the gorgeous Venice, and they couldn’t have made a better choice! 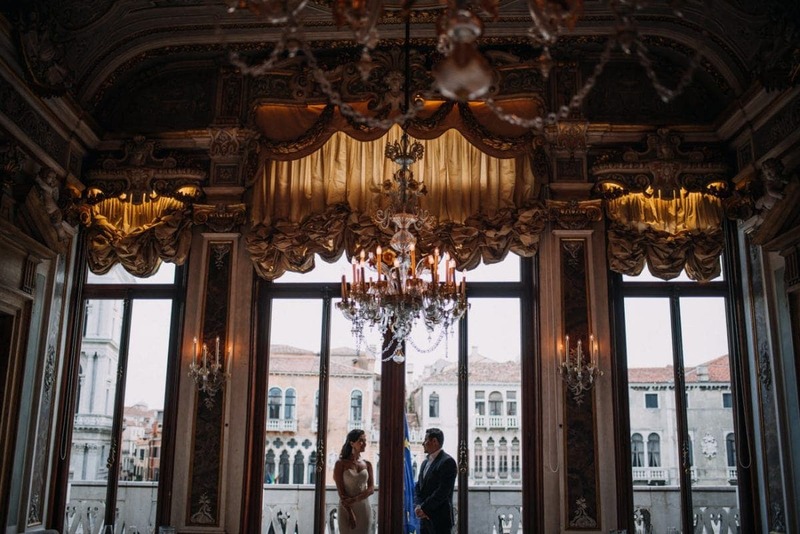 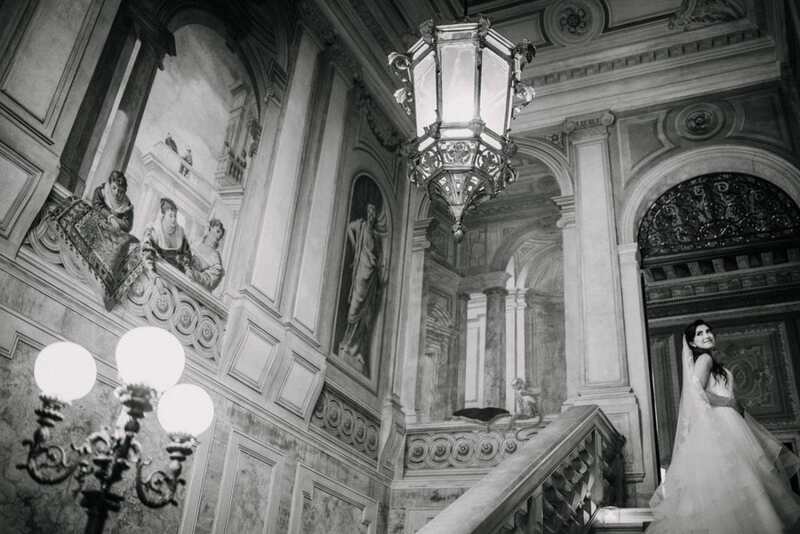 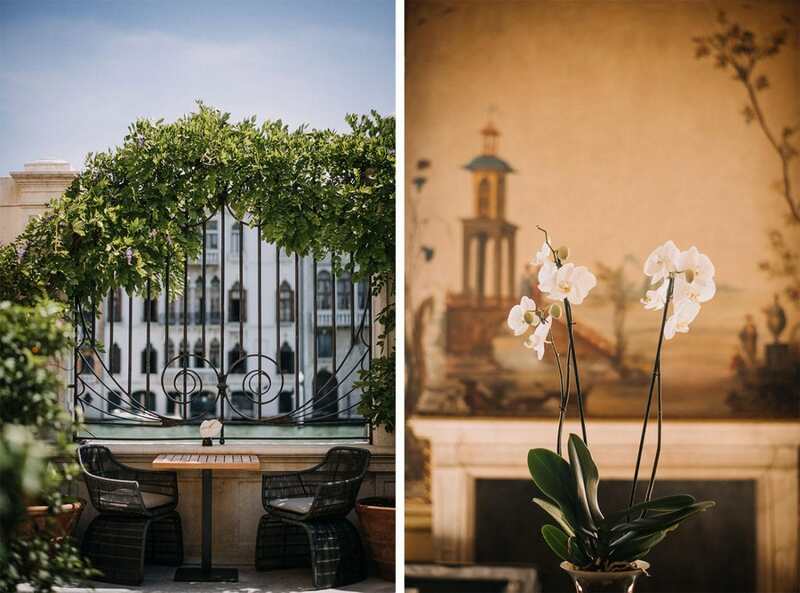 They were staying at the amazing Palazzo Papadopoli, now Aman hotel. 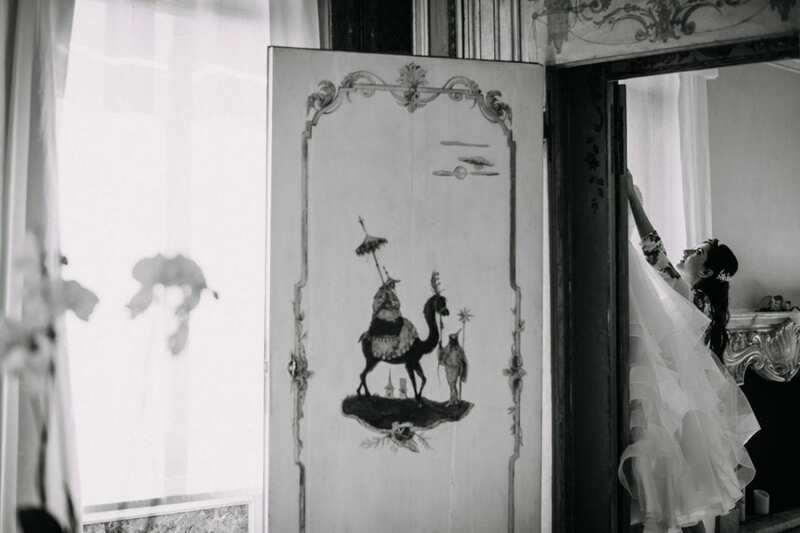 They booked their wedding suite – the one where George and Amal were staying, the steward remarked! 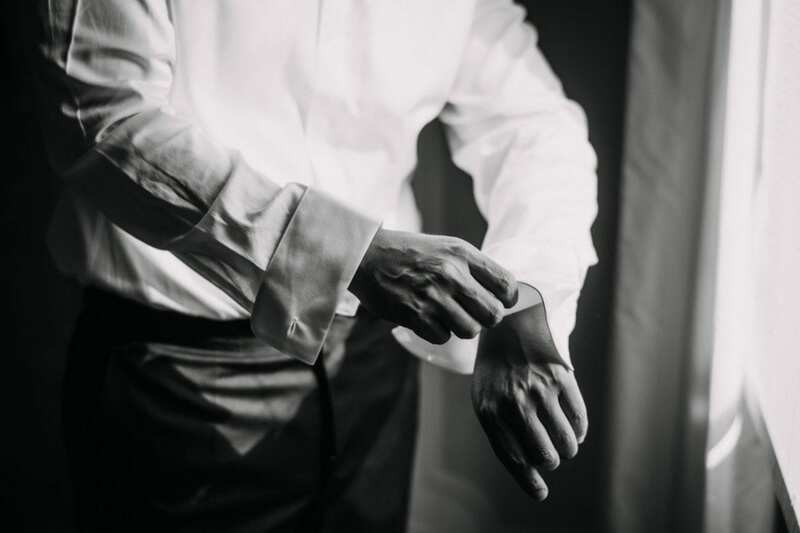 – and got ready there. 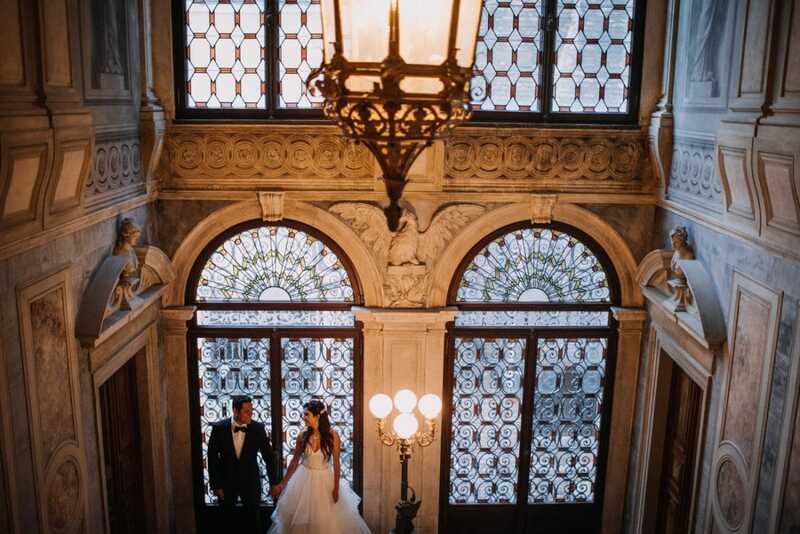 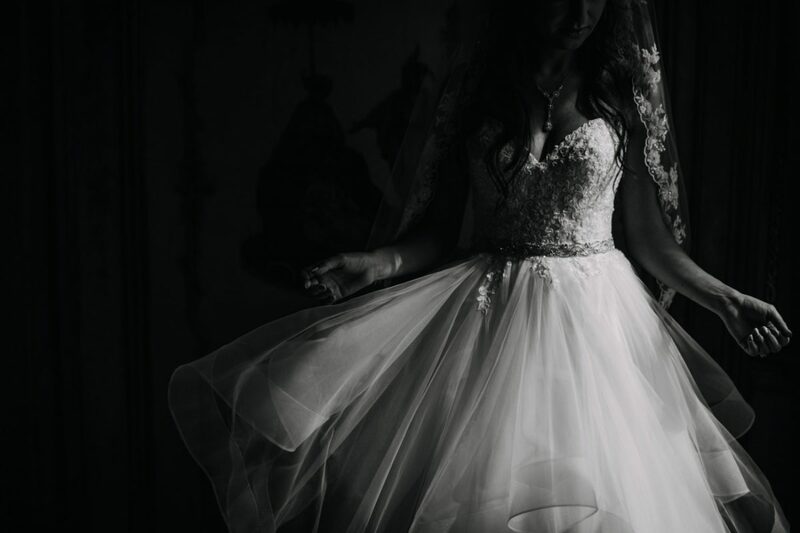 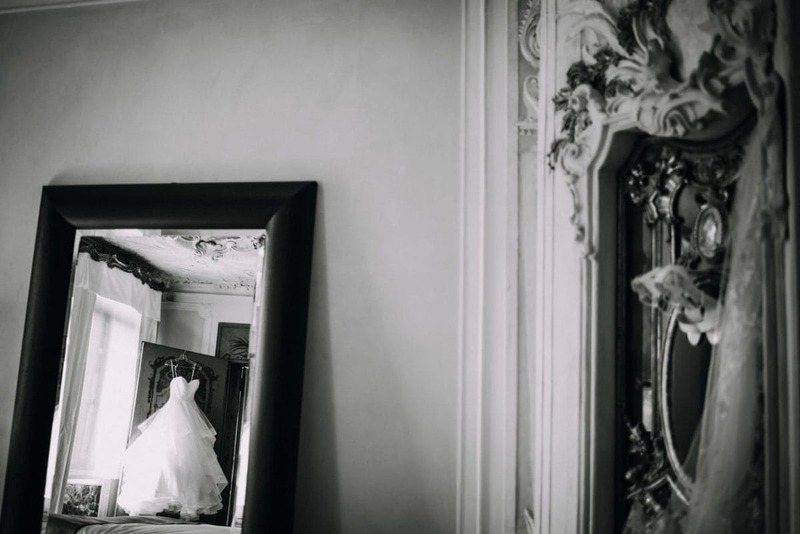 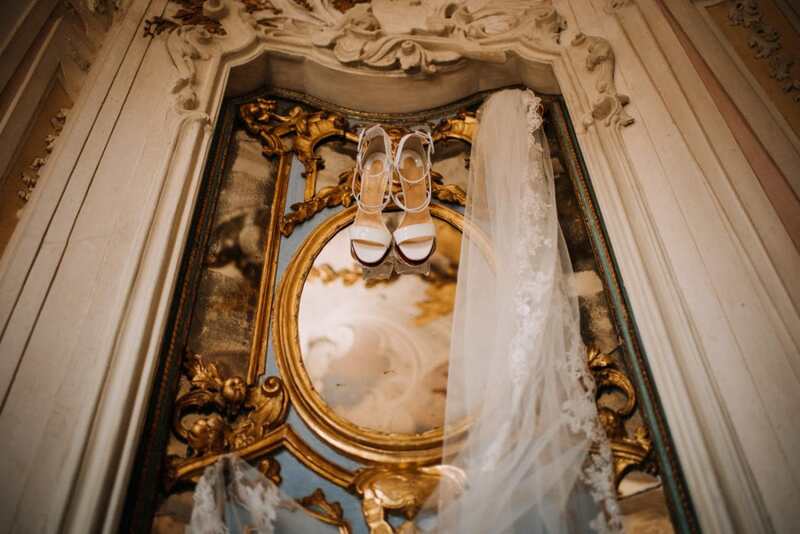 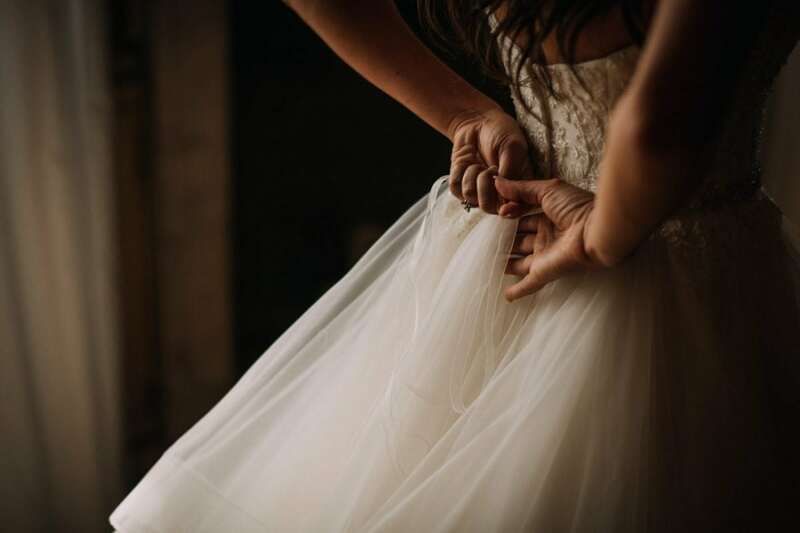 They put on their wedding dresses separately, and had their first look in one of the halls of the hotel: so romantic! 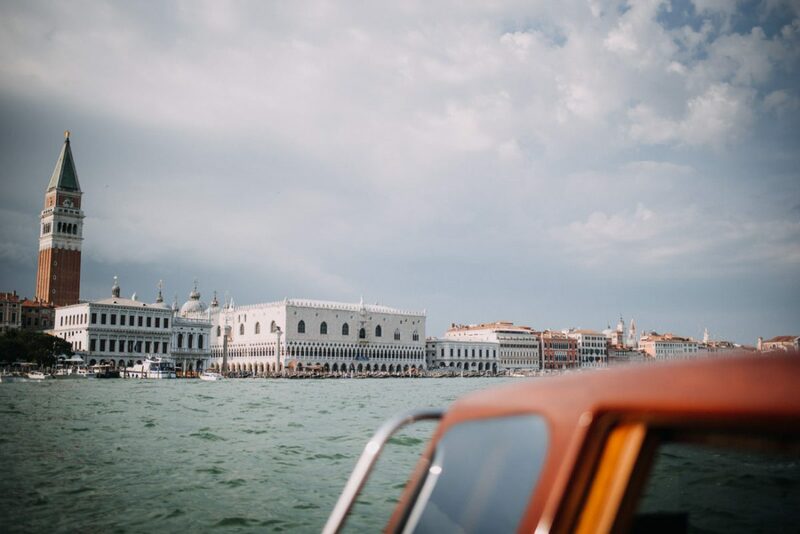 After the first look, we took a water taxi that brought us to the Island of San Giorgio. 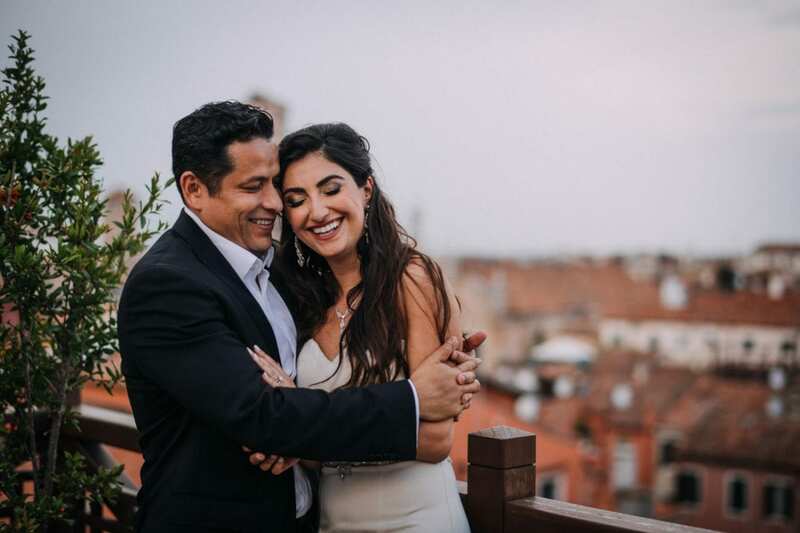 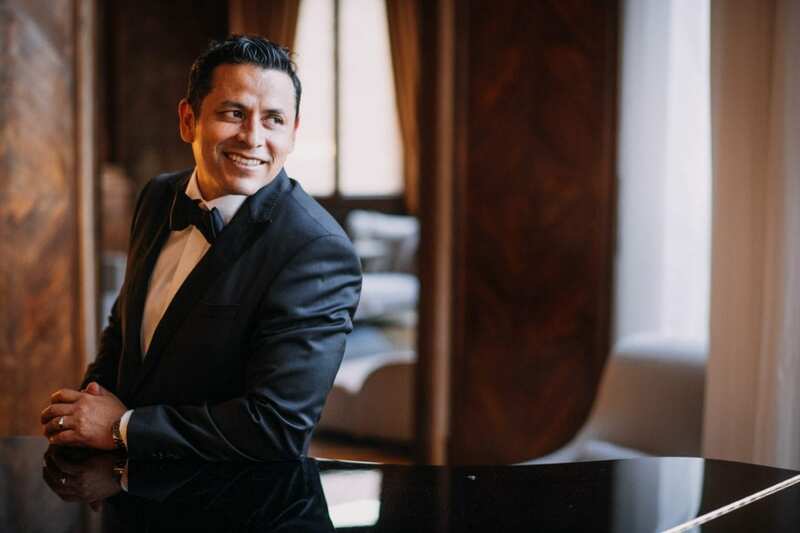 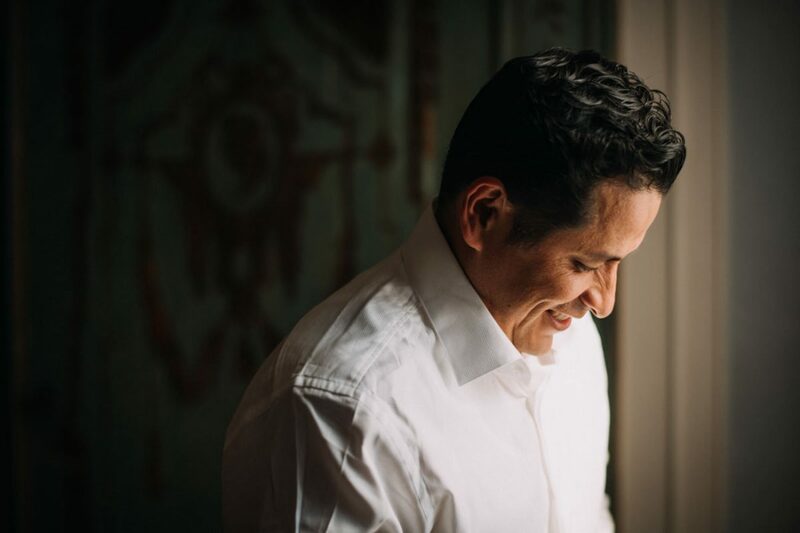 There, Nilo and Luis exchanged their vows and rings again, and it was so romantic! 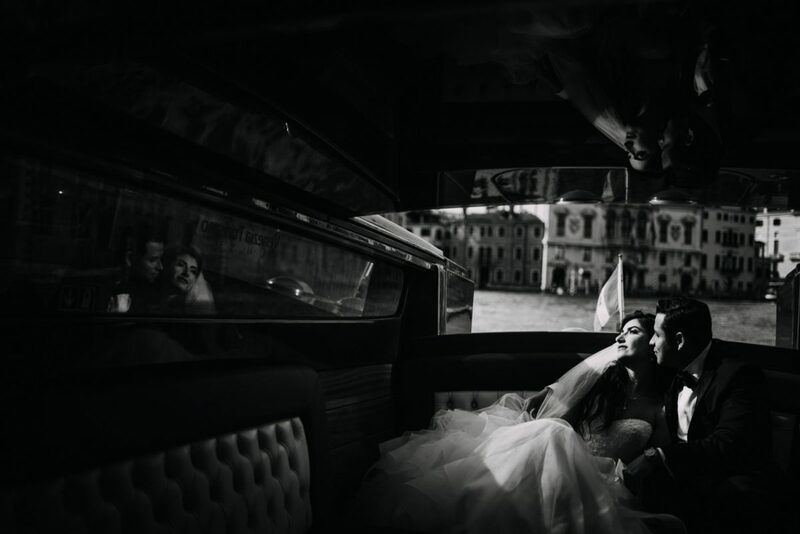 Later we had a couple photo session in the Rialto Market, just before a huge storm came, but we were just in time. 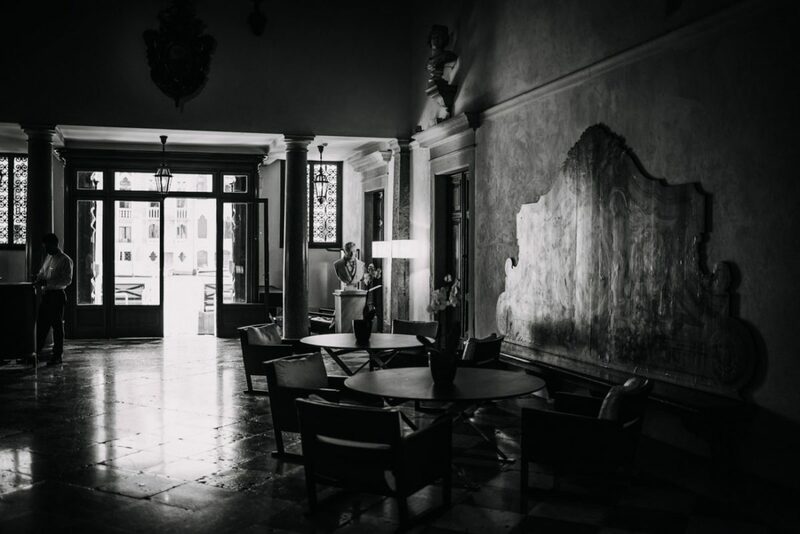 After the outdoor shoot, we came back to the Aman where Nilo changed to her evening dress. 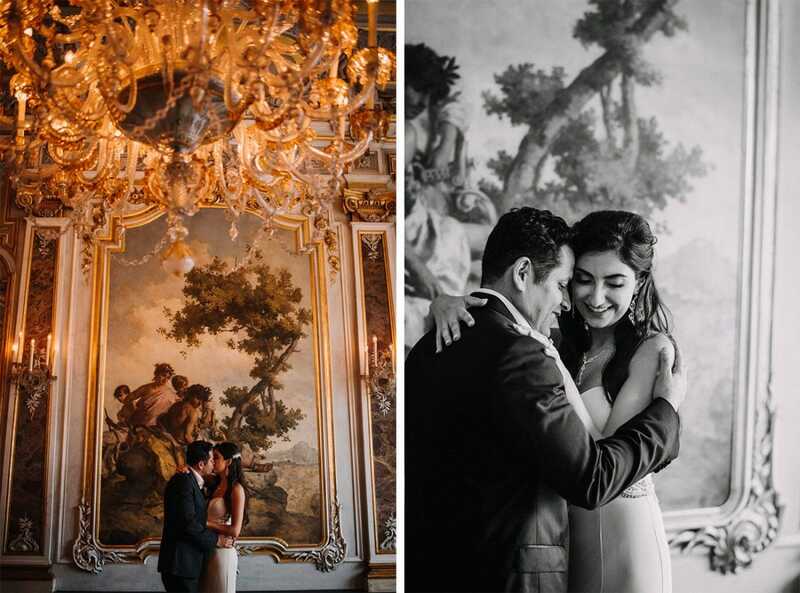 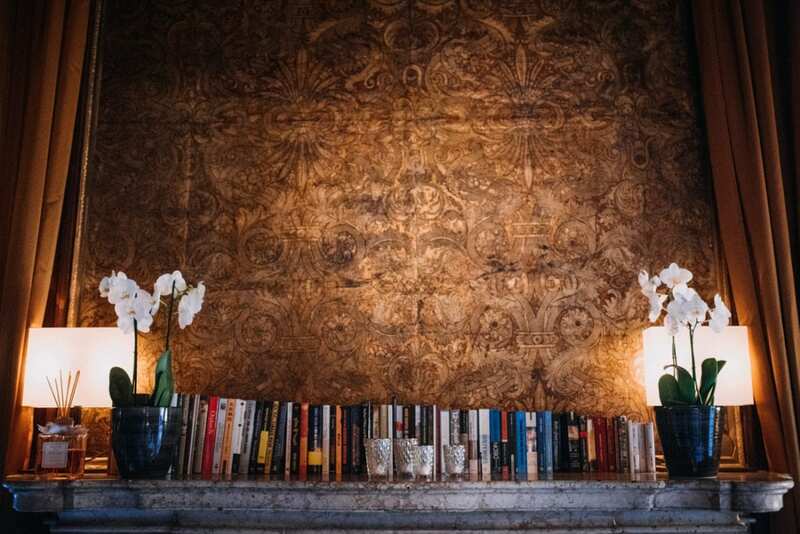 We had some more photos around the gorgeous Eighteenth-Century Venetian palace, full of amazing views and frescoes. 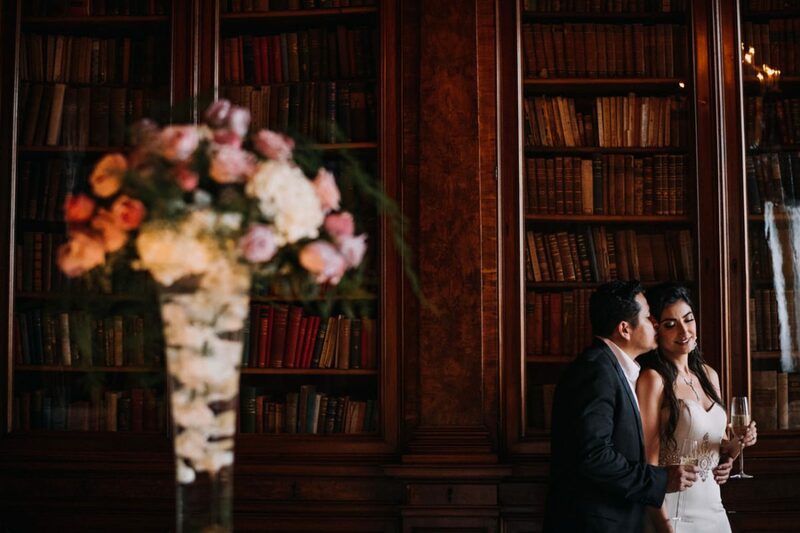 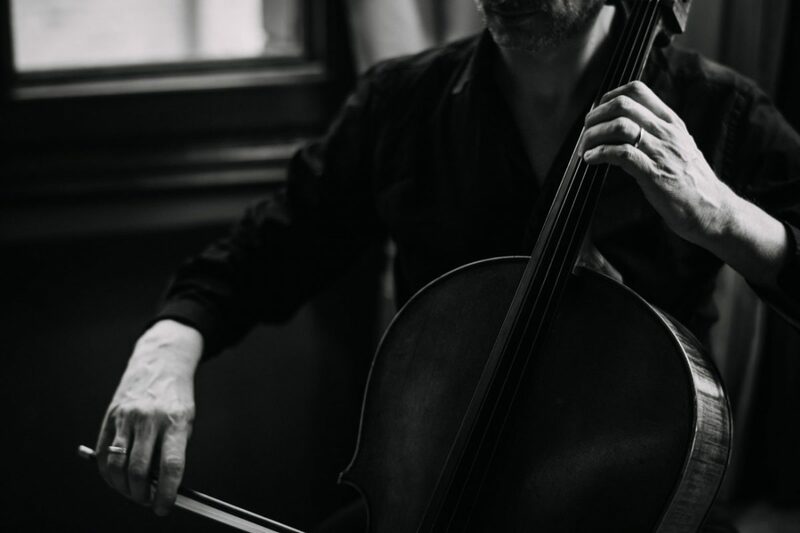 Then, they had a private, romantic dinner inside the library of the Aman, made even more special by the sound of the cello playing. 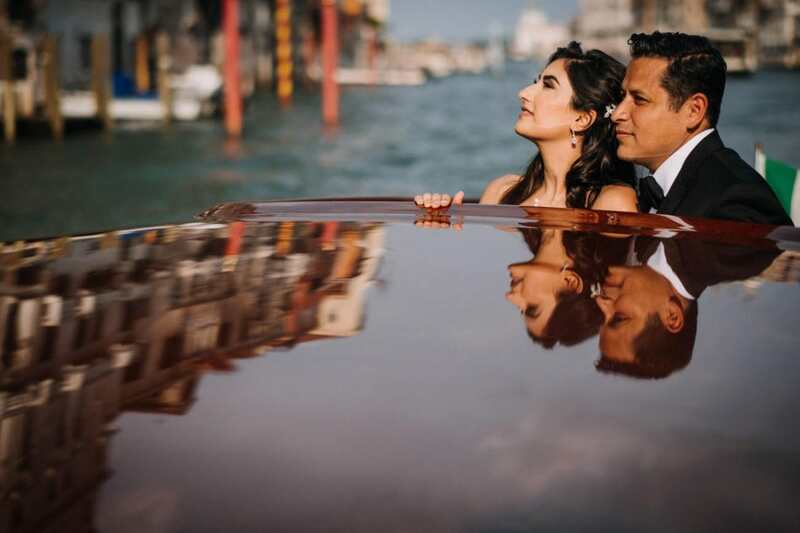 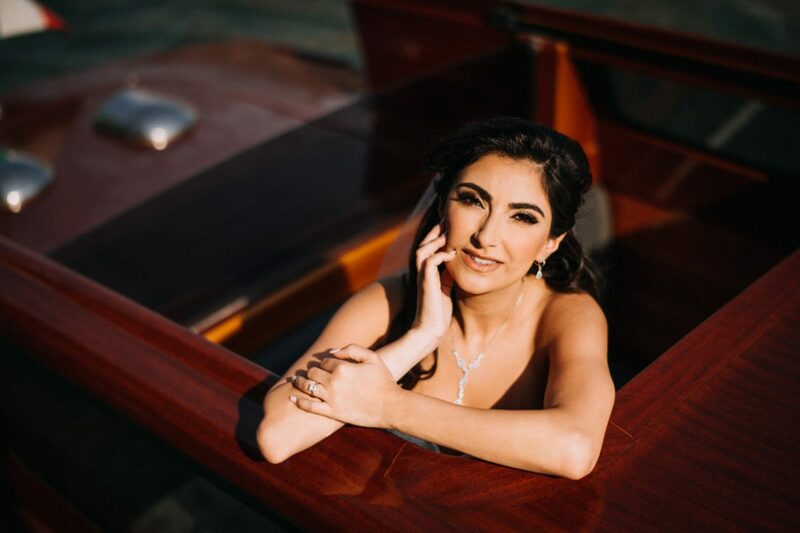 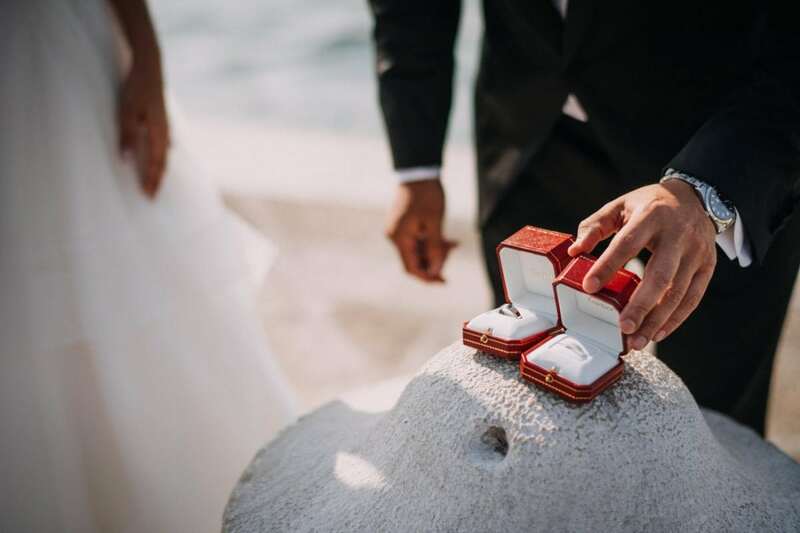 There’s nothing more romantic and intimate than elopements – well, maybe elopements in Venice with candlelight dinners and all!